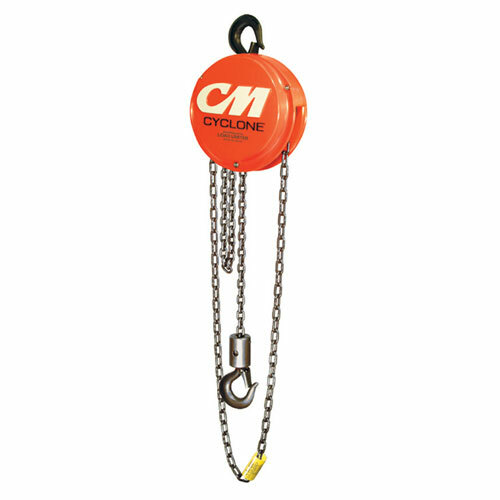 The CM Cyclone Hand Chain Hoist features superior engineering, efficiency and durability and is considered one of the most popular and reliable hand chain hoists ever designed. It also boasts the most interchangeability of parts in the industry. Furthermore, each Cyclone hoist is inspected over 75 times to meet or exceed HMI and ASME / ANSI performance and safety standards.